by Minna on June 20, 2016 in Teachings. 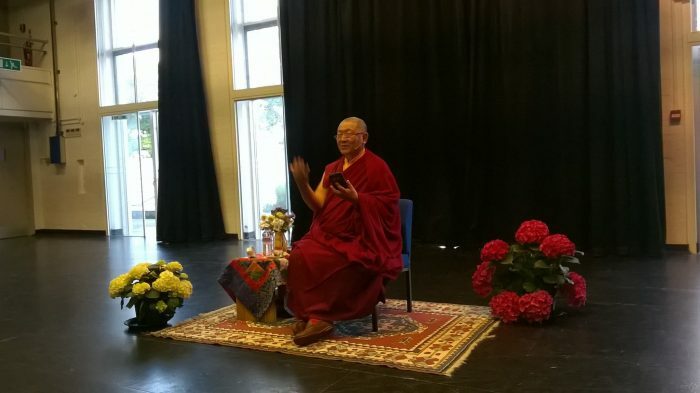 This public talk What Meditation Really Is was given by Rinpoche in Totnes, Devon, UK. The event was organised by Bodhicharya Southwest. Photo courtesy of Colin R. Moore.